Our Woburn men's pyjamas are cut from pure silk that has been woven into a satin stripe. 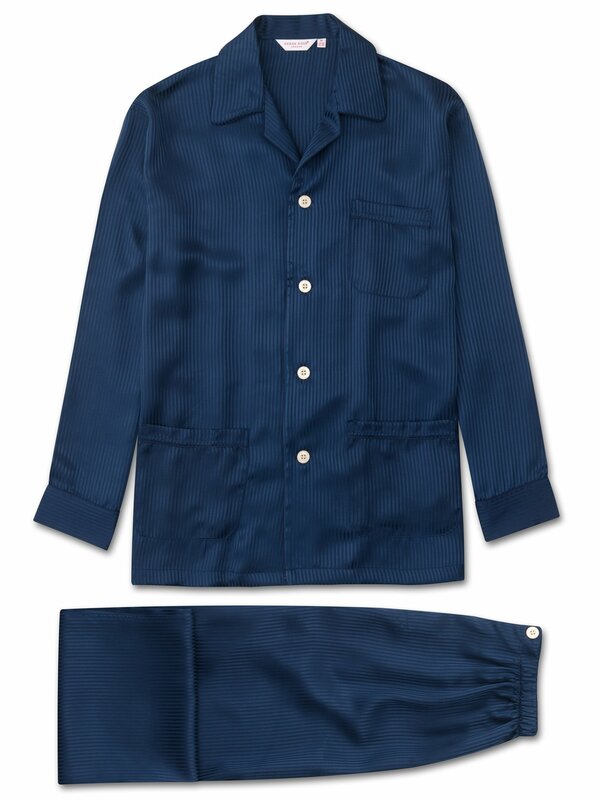 Styled for comfort and relaxation, these pyjamas feature a three pocket jacket, classic collar, piped jacket and adjustable two-button waistband. Elasticated sides on the trousers mean the front and back are flat for your comfort.